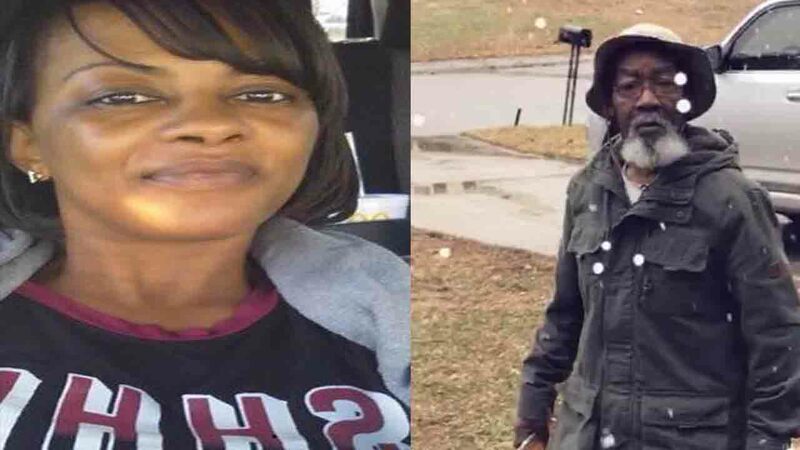 DURHAM, NC (WTVD) -- The bodies of missing Durham man Carl Adams and Tierra Mann have been recovered from Falls Lake, near the Hickory Hill Boating Access. Adams' body was discovered Monday afternoon shortly after 3:15 p.m. The body of Mann was discovered in the water on Tuesday morning at approximately 11 a.m.
On Tuesday, police were working to identify her body. The 2017 Toyota 4Runner was also recovered from the water. Adams and Mann were missing since December 19. Records show the pair was last seen on Sprucewood Drive. According to the family, Adams and his son were picked up from the John Avery Boys and Girls Club around 8:30 p.m. by Mann and her younger sister. The son and sister were then dropped off at Sprucewood Drive around 10 p.m.; Adams and Mann left together and had not been seen since. The recovery was a multi-agency effort including the Durham Police Department, the Durham County Sheriff's Office Search and Recovery Team, Durham County EMS, Redwood Volunteer Fire Department, North Carolina Wildlife Resources Commission and the North Carolina State Highway Patrol. The investigation is ongoing. Anyone with information is asked to call Cpl. M. Richards at (919) 560-4440, ext. 29320.